Each human is born with a unique metabolism and therefore, has a different immune system. Lenish John's natural therapies begin with a careful analysis of your body, diagnosing the core reason for bodily imbalance and finally suggesting a unique healing practice that specifically meets your body’s individual needs. By the time you finish the course, you will be trained to practice Atharvanic Kriya Yoga by yourself at home to keep you healthy in the future. The practice does not involve any internal medicines like Ayurveda and is a perfect choice for those seeking support with their health condition, unless otherwise advised by a medical professional. Atharvanic Kriya is a proven Yoga Healing practice for someone looking for an alternative holistic approach to heal their health condition. This highly effective system can significantly improve health and wellbeing whilst also boosting ones spiritual life journey. This method of healing combines knowledge from the Vedas (sacred scripts) of ancient India, which are ‘Atharvaveda’ and ‘Kriya Yoga’. Atharvanic Kriya does not involve any internal medicines like Ayurveda and is a perfect choice for those seeking support with their health condition, unless otherwise advised by a medical professional. Lenish John may also apply this healing modality to students seeking to accelerate their spiritual growth. This approach is beneficial to the channelising of highly flowing life force energy in the subtle and causal body, so that they will easily step in to the advanced stages of Yoga. Tantric Healing is a sacred method of finding and dealing with your suppressed energy blocks so that you can be the best version of yourself. These deep blocks can be due to your emotional or past negative life experiences. Whether the individual is aware or unaware of the energy block, it is slowly destroying ones natural self and health. The theory behind the practice is that the majority of human disease has a deep connection with emotions and life force energy blocks, so unless this imbalance is dissolved someone cannot be healthy and happy. This particular healing practice provides significant positive changes in ones wellbeing. 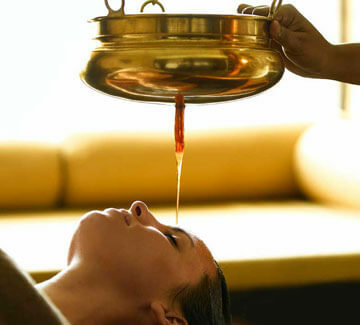 This holistic treatment method stimulates the blood circulation to the head and creates a blissful sensation. 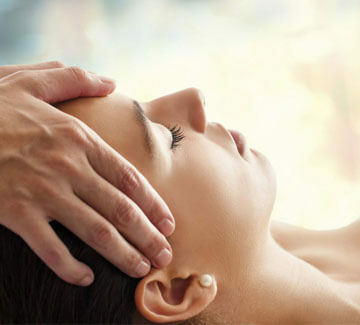 The treatment involves developing a unique blend of high-quality essential oils with medicinal values for each individual. Kizhi is one the most effective treatment methods to relieve body related pain and other blockages. It involves a massage using a herbal pouch and warm aromatic herbal oil over the whole body or focused areas depending on the individuals health condition. This treatment unblocks the blood and energy circulations in the body and removes toxins. It is one of the best remedial treatments to improve overall health. Nadi Swedhan is one the most sought-after ancient treatments to ease inflammations and remove other impurities from the body. It involves herbal steam for the whole body or focused areas to release toxins and unblock blood circulations.